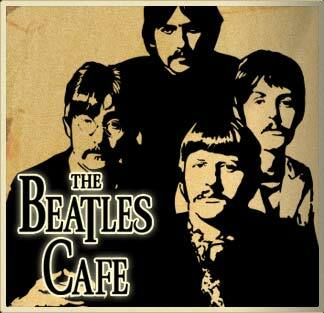 Home » News » The appearance of American musicians in the “Beatles Café” at the Easter’s day. 10.04.2007 - The appearance of American musicians in the “Beatles Café” at the Easter’s day. On Friday, the 06th of April we got on our website a message from USA. In the message was noticed that 2 (two) musicians of the band “Liquid Blue” from Los Angeles wanted to play in the “Beatles Cafe” on Sunday, the 08th of April. The musicians were planning to visit Minsk on the way to Kiev where they start their East – European tour. In the message the musicians gave us their website http://www.liquid-blue.com/ where we found out that it is the best cover band in San Diego and Los Angeles. And really on the 08th of April at 18.45h the musicians as if by magic were standing by the entrance to our café. And by the first contact we felt that they were nice and lovely people which brought their music and wanted to share it with everybody. Their names are: Michael Vangerov and Scott Stephens. During the time the musicians were connecting their instruments the café’s room was filled up. Acoustic concert started at 19.45h. Its performance “Liquid Blue” opened with a composition “My Sweet Lord” by George Harrison what came in handy at that party’s day. Honestly I never heard such pathetic (heartfelt) performance of this song. Better were singing only Harrison himself. Later the musicians bewitched the whole room with their interpretation of music by Harrison, Lennon, Moody Blues, Rolling Stones, Beach Boys, Bruce Springsteen etc. The visitors in the café greeted with loud cheers each composition. And by some turns (items) the spectators were dancing. Especially I would like to mention a vocal of Scott – he was really professional and was felt that the musician put his heart and soul into each song which he performed that evening. After the show finished the autograph – session took place where a lot of visitors bought discs of musicians and made pictures for memory. 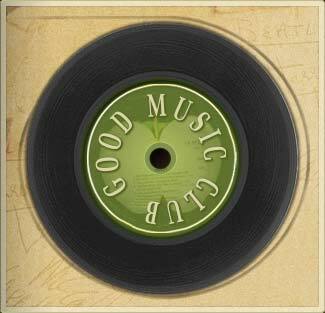 In the name of all café’s haunters I would like to thank the musicians once more. They really made us happy with top music and on their own will (this visit to our café we can identify as improvisation). Good luck You Michael and Scott. We shall remember this party for a long time.